Powerful and effective pain relief without a prescription. 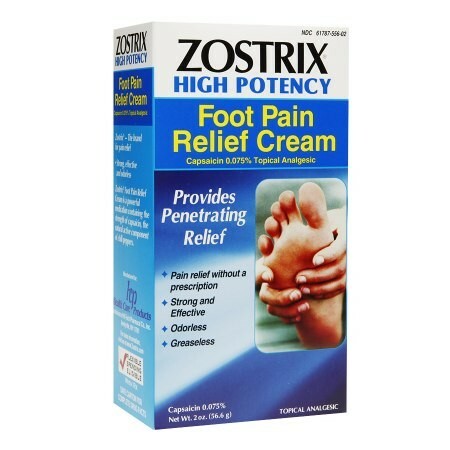 Zostrix Diabetic Foot Pain Relieving Cream is a different kind of medication that contains the strength of capsaicin. Capsaicin is the natural, active component found in chili peppers and has been clinically tested in numerous studies and found to be an effective pain reliever.